“Hast thou entered into the treasures of the snow?” (Job 38:22). It appears from this text, that there are treasures in the snow. In the Word of God, snow is compared to purity. “Though your sins be as scarlet, they shall be as white as snow; though they be red like crimson, they shall be as wool” (Isa 1:18). The Psalmist says, “Wash me and I shall be whiter than snow” (Psa 51:7). From this we understand that purity of life is like valuable treasures. Snow is always cool and comforting. Those who live a holy life will always be gentle and comforting to others even in most distressing situations. Snow is transparent and crystal clear. If we really love purity of life, we will not show one thing on the outside and be different inside. Having transparent character means having no hidden sins, no hidden unclean motives. Snow melts in sunshine; the hearts of those who love holiness always melt in the presence of God. Many people of God have still not experienced the treasures found in a holy life. Please observe, what God questioned Job was not, “Has treasure entered into you?” but, “Hast thou entered into the treasure?” The ocean entering into you and you jumping into the ocean are two different things. Similarly, there is difference between holiness entering into you and you entering into holiness. When you enter into the holiness of God you are inside the ocean of God’s holiness and that ocean is compassing, covering and crowning you. It is like God possessing you, rather than you possessing God. You are enjoying the grace of God, but you enjoying the God of all grace is something greater. Dear child of God, why don’t you enter into the treasures of the snow? 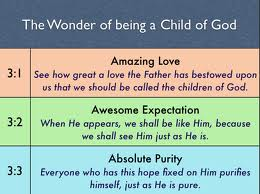 Why don’t you dedicate yourself right now to enter into these treasures of purity? 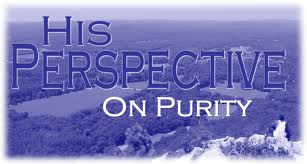 "Purity Happens Because of Being Close to God! after you think you are pure enough. Depend on God to do that for you!"